New Toy : Lubitel 166B ! In my photographer journey, I recalled playing with manual Pentax SLR (belongs to my father) and Nikon F401X SLR, it was using 35mm film negatives and I wasn’t really into rangefinder or twin lens reflex (TLR) thus no experiences with medium format. Over many years, as I appreciate, explored and tried out different fields of photography, I began to start appreciating lomography and medium format most recently. Learning photography is always on-going, very excited to start from scratch learning another field of photography, excited in the prospects of mastering the TLR and bringing it out for my personal photography project that I would be sharing shortly, another area that I would be exploring and taking photographs would be portraits/people photography using medium format on my Lubitel 166B, bought from E-Bay at a price that I was comfortable with. 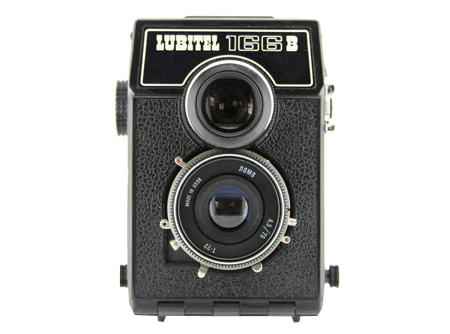 Lomography has a dedicated microsite on the Lubitel 166+, with excellent information, history and photographs taken using Lubitel 166+, a newer ( and more modern) cousin of my Lubitel 166B. Checking Flickr groups on Lomography, TLR and Medium Format have been inspiring and I am looking forward to capturing photographs with my Lubitel 166B, sharing with all my readers here and on Flickr.